After attending CES in Las Vegas last week, a show attended by over 150,000 to see the latest and greatest in consumer electronics, I’m struck by how little attention was paid to servicing all of this “stuff”! With rapidly changing technology and CE manufacturers rushing to bring out the next big thing, little attention is paid to supporting last year’s big thing. And, sadly, little attention is paid to how to improve the customer experience with obtaining service and support for existing consumer products. Walking through the CES show halls the visual image was one of consistent clutter. Every booth was displaying some sort of flat screen or touch screen device, from smart phones to tablets to the latest hi-def television technology. Without stopping to look at the brand they all pretty much looked the same. So how can a manufacturer differentiate their products? One huge missed opportunity is improving after-sales service through technology. In an age where every device can be “connected”, technology needs to evolve to leverage the connected device for support. Automated diagnostics, health checks, remote support, chat on demand and call center connections can be just a few clicks away. Imagine the customer experience improvement that could be attained by embedding these support tools directly on devices and expediting the overall service process. Although there are a few technology companies focusing on aftermarket support solutions, I encourage all manufacturers to consider these support tools in device design, and make it a key part of the product marketing strategy. New technology is great to grab the attention of new customers, but keeping them happy with their purchases builds long term brand loyalty and greater profits. 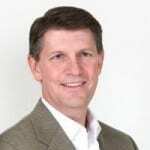 Steve Teel is President and CEO of ServiceCentral Technologies, and has been in the software, telecom and logistics industries for over 20 years. He lives in Atlanta Georgia and enjoys playing drums, golfing, and hiking in his spare time.